← sharing a congressman’s scandal. 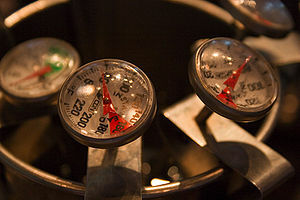 The point of a thermometer is to read our temperature. If we have a fever, the thermometer will show it and to what degree. If it is too far above or too far below our normal range of homeostasis then action is needed and rapidly so. Either we need to cool off or we need to warm up. It is a useful tool that has been around for a long time and has even saved lives. My analogy is this: Is there a thermometer for more than just my physical body? How can one take the temperature of someone’s emotional or spiritual well-being? If you didn’t really know me but wanted to take those respective “temperatures” what would you look for? Recently, our pastor preached on Revelation 4-5 and the role of worship in revelation. This powerful sermon illustrated several important facets of worship including how worship reveals the heart of the Father to us and vice versa. It was after pondering this point in our small group that I came to this conclusion: if you really wanted to know how I am doing and if you really wanted to gauge my temperature as a leader then all you have to do is ask me, “How is your worship?” Let me break it down this way – I can fake a lot of things and make it seem like everything is hunky dory but one thing I can’t and won’t fake is worship. Worship in this context, building upon Romans 12:1-2, is no-holds-barred passionate love-making from a humbled creation to his Holy Creator. If tears are shed or hands are raised then so be it or if I have to sit in quiet reflection without an uttered word then so be it. This worship thermometer doesn’t gauge my temperature on what you see on the outside but it does have a read on my unabashed exuberance for Christ. Let me say it this way: the classic way to define sin is “missing the mark” but I think another way to define sin is “anything that interferes with my worship.” I may be able to look you in the eye and I may be able to say everything is alright but if I’m not chasing after God with my whole being then something is wrong. Before you begin to cry “legalism” here, understand first what I’m saying: God’s worthiness of worship has nothing to do with my ‘performance’. In fact, the very rocks will cry out His praise if necessary. My point is simply this: that if you truly wanted to take my spiritual temperature, if you wanted to get a read on me and if you wanted to take my pulse as a leader then all you would have to do is ask, “How’s your worship?” By the way, how is your worship?